On February 14, 2016, the seventh day of the first month of the Tibetan Year of the Fire Monkey, there will be a commemoration of the life and enlightened activity of the Sixteenth Gyalwa Karmapa Rangjung Rigpe Dorje, the great Tibetan Buddhist master who revived the teachings of the unequalled Dhakpo Kagyu. Rangjung Rigpe Dorje was a leader in spreading Buddhism across the world, a master recognized for his incomparable merit and splendor, and a bhikshu who upheld the three pitakas. The Chief Guest at the commemoration, occurring in what would have been the Sixteenth Gyalwa Karmapa’s ninety-second year, will be His Holiness the Drikung Kyabgön Chetsang, Konchog Tenzin Kunsang Thrinle Lhundrup. The morning program will include the unveiling of a new printing of the Jang Kangyur, the Collected Works of Karmapa Rangjung Rigpe Dorje, and a pictorial biography of the 16th Karmapa titled Dharma King: The Life of the 16th Gyalwa Karmapa in Images. The afternoon will feature the Guru Yoga of the Sixteenth Karmapa and a ganachakra. 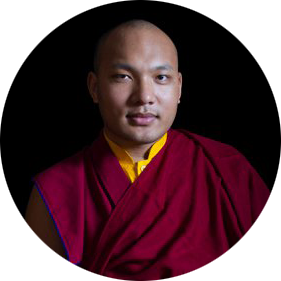 We request everyone who has a connection with the body, speech or mind of the Sixteenth Karmapa to participate in this event regardless of where they are.